카메라타 안티콰 서울 Camerata Antiqua Seoul은 옛것(Antiqua)을 함께 모여 연구하고 연주하는 단체(Camerata)란 뜻으로, 바로크 시대의 음악과 악기의 깊은 이해를 바탕으로, 본래의 의미를 되살린 최상의 연주를 선사하고 있는 전문연주단체이다. 국내외 명문대학에서 최고연주자과정을 마친 멤버들이 한 뜻으로 모여 창단한 이후, 성실한 연구와 열정적인 연주활동으로 예술의전당 기획 한국 최초의 바로크 오페라 '디도&에네아스'를 비롯하여 수십여 편의 한국 초연 작품들을 성공적으로 무대에 올렸으며, 예술의 전당 여름실내악페스티벌, 오페라 ‘리날도’, '유디타의 승리', 금호아트홀 기획연주시리즈, 성남아트센터, 삼성 리움갤러리, 덕수궁 미술관 초청연주, 대전실내악축제, 서울국제고음악페스티벌, KBS 1FM 공개방송, LG 아트센터 관객 참여 프로그램 초청 연주 등을 통해 국내 음악계에 주목 받는 앙상블로 자리 잡았다. 매년 국내외 최고의 성악단체들과 헨델의 메시아, 바흐의 요한수난곡, B단조미사 등을 시대정신을 반영한 차별화 된 연주로 선보여 찬사를 받고 있으며, ‘비발디 프로젝트 2010’을 비롯하여 다양한 규모와 레퍼토리로 기획한 카메라타 안티콰 서울의 정기연주, 기획연주, 자선연주들은 고음악과 클래식 애호가들의 큰 사랑을 받고 있다. 존 홀로웨이, 료 테라카도, 앤드류 맨즈, 리쳐드 이가, 레이첼 포져 등 고음악 대가들과의 마스터클래스와 ‘바흐 콜레기움 재팬’ 수석주자들과의 지속적인 교류와 협연으로 국제적인 면모를 인정받고 있으며, 일본 호쿠토피아 고음악페스티벌 초청연주를 시작으로 우리나라를 대표하는 바로크 전문연주단체로서 세계무대를 향해 발돋음 하고 있다. Camerata Antiqua Seoul has the meaning, the chamber ensemble (Camerata) studying and exploring the old music (Antiqua). Camerata Antiqua Seoul has presented high quality concerts reviving authentic baroque music using period instruments with comprehensive interpretation. The ensemble consists of musicians who studied and graduated most prestigious universities in Korea , Europe and the United States . Since its founding, Camerata Antiqua Seoul gave the Korea premiere of dozens of repertoires besides Henry Purcell’s baroque opera ‘Dido and Aeneas’ which designed by Seoul Arts Center and also participated in Seoul Arts Center Summer Music festival. 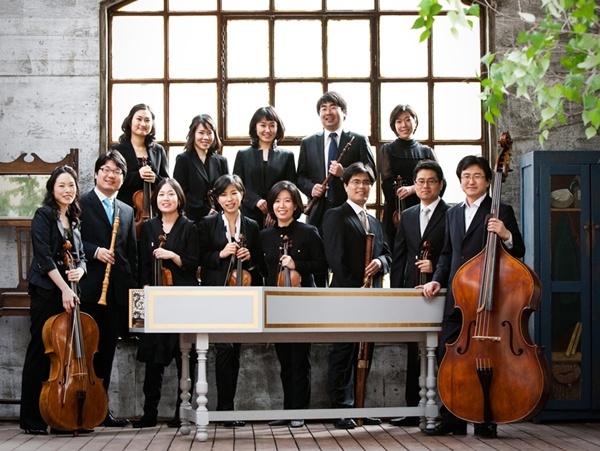 Over the years, the ensemble has built a reputation as the foremost baroque ensemble by giving concerts such as Handel’s Opera ‘Rinaldo’, Vivaldi’s ‘Juditha Triumphans’ and concert series invited by LG Art Center and Kumho Art Center. Furthermore, Camerata Antiqua Seoul has perfomed Handel ‘Messiah’, Bach ‘John Passion’ and ‘Messe in b minor’ in collaborations with several greatest vocal ensembles and received credit for the distinguished genuine performance . In 2008, CAS was invited to Japan Hokutopia International Music Festival and has grown into the international ensemble. Camerata Antiqua Seoul has been positioning itself as the Korean representative baroque music ensemble group and hopes to present more opportunity for audiences to hear great works and authentic period-instrument performance at the highest level.